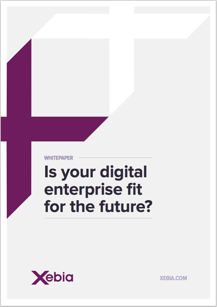 Whitepaper: Is your digital enterprise fit for the future? Do you really know which startups have emerged recently in your markets? And do you think your organization has the agility and firepower to compete with the digital products and services that lure your customers away? If you are unsure about the answers, then this whitepaper is for you.